Alex worked with Bridlington Spa from 2013 to 2017 developing their summer product. He was instrumental in taking it from a two days per week variety show through to a full time Repertory Season. He wrote, composed, Directed and Musically Directed the shows. Once again, moving the 'traditional seaside show' forward and landing it somewhere close to being a musical. Six friends are enjoying their last summer before the end of Uni life. They go on a camping trip and discover a chest claiming to contain the secret of staying young. To open in they must tell a host of stories about Myths and Legends using only the music they have available on their phones. The show bursts into life with pop music from across the decades as they sing and dance through Greek Goddesses, Hercules, Vampires, St John of Bridlington, The Northern Lights, King Arthur and many more tales of yore. Highlights include an appearance by Nessie, a rock 'n' roll Robin Hood and a Disco Dancing finale. In this 2017 season, we also revisited and re-worked the A COWARDLY NIGHT show (see below) to offer a varied content between the various houses. The story and career of an ageing Hollywood Star told in flashback as she receives a lifetime achievement award. We follow the career highs and lows of Kay Lawrence, discovered in her parent's Vaudeville act in the 1920s and catapulted to stardom. We see her progress through Silent Films into working with Busby Berkeley and on to her golden time with Fred Astaire. In the 1940s she struggles to find the roles as the newer and younger stars come through. During WWII she entertains the troops and, by chance, ends up in the UK starring in an Ivor Novello show. As the 1950s approach we see Hollywood turn its back on her and she begins a new chapter on the concert stage. Time passes and the venues get smaller and the opportunities fewer. Finally we discover her at rock bottom in a seedy bar singing her signature song, It All Depends on You, in a torch version far removed from the early up tempo cheeky young girl at the beginning of the show. The show finishes with her being rediscovered and cast as the lead in the Movie Musical version of Kiss of the Spider Woman. She reinvents herself once more and is welcomed back into the glitterati as the Grand Dame. This show is packed full of Movie tunes from the Golden Era. It barely stops to take breath as it whisks you through the decades and various styles of the Hollywood greats, paying tribute to Fred Astaire, Judy Garland and Gene Kelly to name but a few. New compositions and comedy dialogue pepper the evening with a brand new song explaining the history of Hollywood (At the Flicks), a comedy skit based on 1930s Hammer Horror films, A comedy telephone call and the shockingly frank hoedown: Isla, The Inappropriate Usherette! 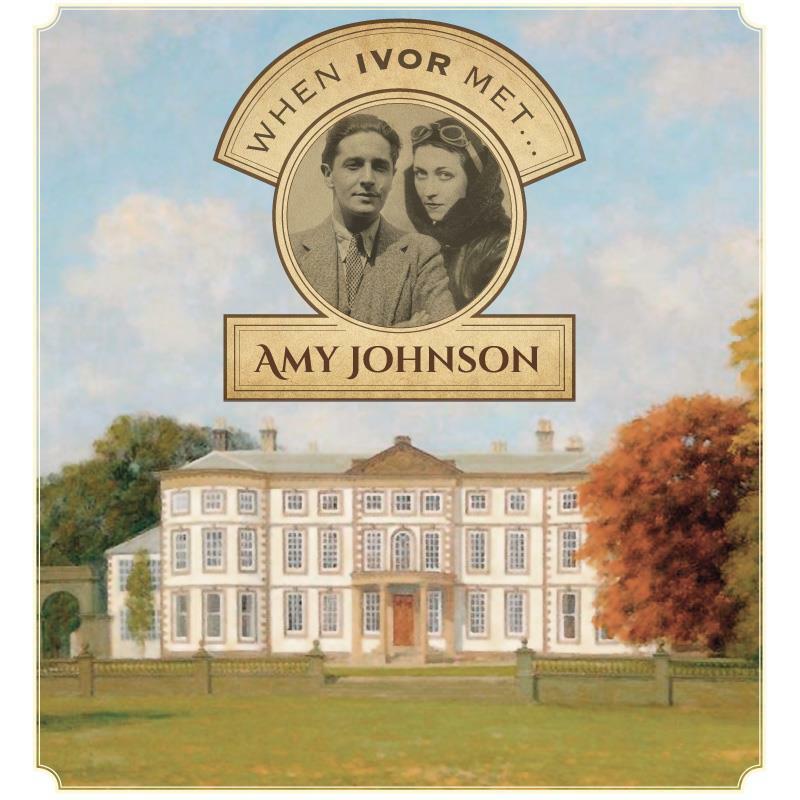 Under the premise that Ivor Novello was taking a quiet retreat at a friend's home whilst composing his next smash Operetta. Never one to shy away from a soiree, he has invited the audience for the evening, whereupon he is surprised by another house guest. Using real life visitors to the different venues, the show was molded to each venue with different scenes and songs happening around the home. Combined with touring the house and the guide giving further information, the show brought these historic characters to life in a mix of fact and fiction. Once upon a time a theatre critic went to see a show and could not find anything negative to say ... and believe me she looked. Ever expanding and improving, this show is a departure from the idea of seaside entertainment and is practically a piece of Musical Theatre. Still contained within an over-arching theme and packed full of different musical styles, this show whisks the audience through a number of different well known stories including: Three Little Pigs, Jack & the Beanstalk, Cinderella, Rapunzel, The Sandman, to name but a few. Set and Prop Designer Sarah Gledhill and Alex worked closely together to bring the idea of books to life through the show. The setting is an old gothic library and it towers about the cast with giant bookcases, a stone fireplace, panelling and a huge picture frame where different paintings are projected. Costume designer Charlotte Hanson then took Steam Punk as her inspiration to capture a sense of modern within the old fashioned world of Fairy Tales. This show had two new compositions written for it: THE FABLINOS - A Vaudeville style routine telling the moral fables of Aesop and: A BRIDLINGTON FAIRYTALE which will be living on beyond the show via Outreach - see the outreach page. Lastly, but by no means least, this year saw the addition of a live band throughout the show. Very few seaside entertainment shows will invest in live music it creates enormous expense and infrastructure difficulties on the show, but The Spa really wanted to be pushing boundaries and expectations. Setting and song in perfect harmony was at work in this tribute to American composer and lyricist Cole Porter. 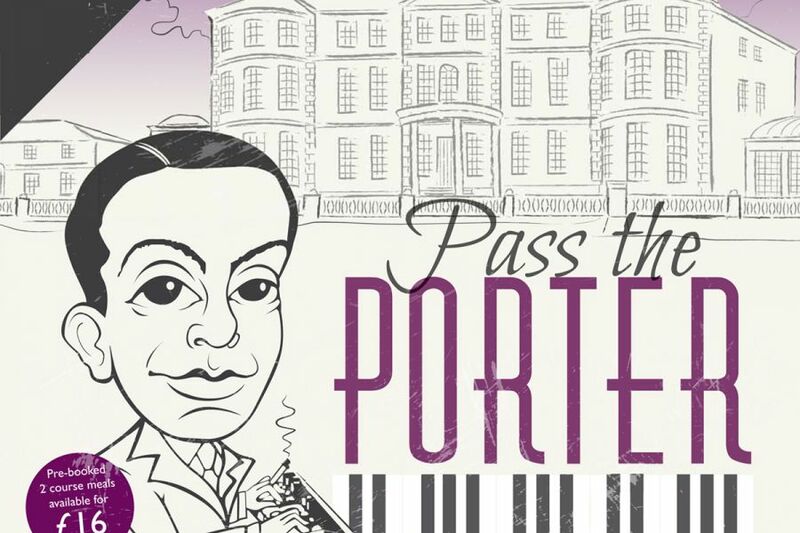 Running in Rep with F&F is the new 'composer themed' show for 2015, Pass the Porter. The Spa were invited back to perform at Sewerby Hall, but also opened up new links with another East Riding venue: Burton Constable Hall. This show concentrates more on the composer than the venue and it is the narrative of his life that guides the audience around various rooms within the hall before ending up with the trademark concert party at the end. Well, Did You Evah?! The second year saw designer Kingsley Hall tie all the elements together by turning the whole stage into a beach and allowing the drama to unfold from there. Fetes, Fayres and Festivals from around the world. The show began and ended in the summer, but went through a calendar of festivals from around the world, taking in: San Fermin, Oktoberfest, Halloween, Diwali, Valentine's Day, May Day and many more. The show finished, once again, with a live actor-musician finale as we finished in a recreation of Woodstock - the ultimate festival. The theme tune also appeared again at the start of the show, but with altered lyrics to signpost the way to the new material. 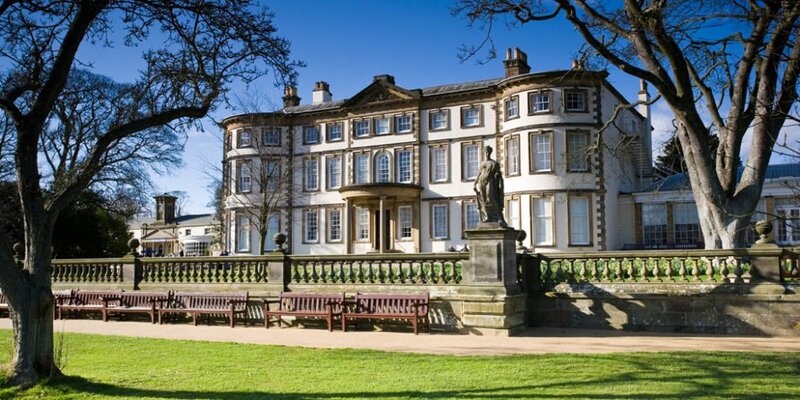 Performing in Rep with Showtime II, this was a chance to promenade around Sewerby Hall, a beautiful stately home close to Bridlington which had just undergone major refurbishment works. 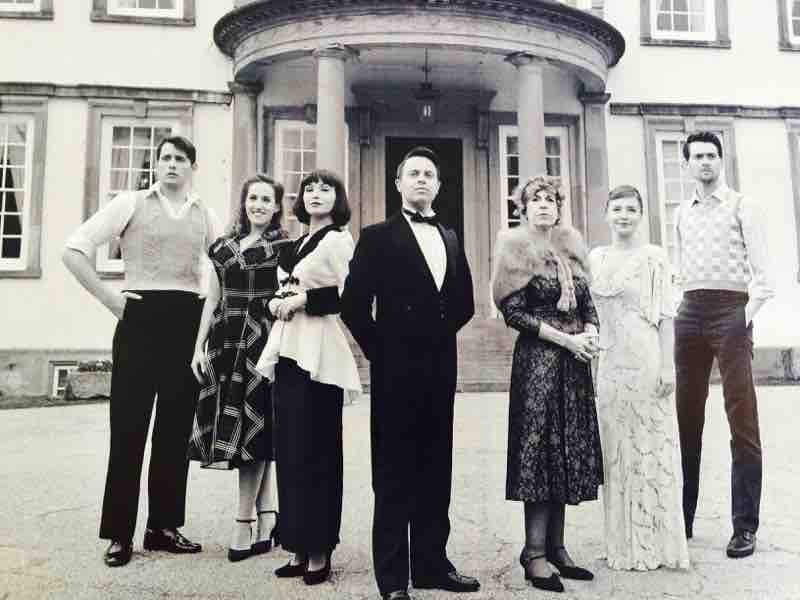 Using the music and words of Noel Coward to help paint a picture of life in a stately home, guests were taken around the hall where they saw music and drama unfold and learned about the history of the building. The first of the new style of production, this boasted a cast of 10 West End performers with credits such as Les Mis, Chicago, Cats and Dreamboats & Petticoats. Taking the seaside and a vintage feel. Designer Stewart Charlesworth drew inspiration from old LNER postcards of Bridlington and even included a reproduction of the railings originally appearing on the balcony of The Spa. The show itself took us to The Beach, Under the Sea, Bathing Beauties, A 1930s cruise ship, Pirates, The West End, Ibiza and many more places. The track used as the promotion (see right) was composed for The Spa and forms a theme tune for the summer. It disguises complicated triple counterpoint tunes within a catchy framework that had people humming it as they left the theatre. We also introduced a live band finale by using actor-musicians.